With the busy summer season behind me, I finally had some free time to check out the latest tech and camera gear at the ProFusion Expo in Toronto. This being my third year at the show, I was looking forward to seeing some familiar faces, watching the great live demos, and getting my hands on some medium format goodies to test. *Don't mind the poor quality of pics, they're either from my @PAWELECphoto Instagram or my iPhone6. Arriving at the MTCC for the show mid-morning, I needed a little pick-me-up and headed straight to the coffee shop nearby. Once in the show, I immediately noticed how much larger it was than in previous years - including the addition of a Drone flight and Virtual Reality exhibition. There were also plenty of the usual vendors including camera brands, lens manufacturers, video gear specialists, professional associations, lighting companies, and even some rarities. In mid-September, Fujifilm announced that they are bringing out a $10k+ (estimated) mirrorless 51.4MP medium-format camera called the GFX 50S, along with six FUJINON GF lenses. Despite it not being released until early 2017, it was all the rage amongst the media at this year's Photokina. Unfortunately, I wasn't able to put my fingers on it as it was kept in a glass case and said to be a "display model only", which I'm still not really sure what that means. From what I could tell, it seems a bit bulky and is slightly larger than the Hasselblad X1D. One of the most anticipated live demos this year was that of Canadian Fashion Photographer and fellow Peruvian Miguel Jacob, who worked his magic behind the lens. Situated in the Profoto booth, he showcased the insane speed of the new Pro-10 pack and D2 monolights - rated at 1/80,000 and 1/63,000 of a second. The shoot consisted of a model and freeze-action of water being tossed at her. Check out the IG video above! To see the results, Miguel posted it on his IG account. The moment finally came to hold not one, but two pieces de resistance - the new Hasselblad X1D (compact medium format camera) and the big-boy H6D-100C. Holding the X1D felt surprisingly good. To me, it always looked small in pictures, but in reality it has great grip-feel and is nicely weighted. I like it, I just don't love it. In comparison, the H6D felt perfect... in every way. The build quality was superb, perfectly balanced, and shooting with it felt better to me than the Phase One XF 100MP I tried earlier this year. I loved the H6D-100C so much that I asked a friend to take a pic of me holding it up. Now I have a new temporary profile pic on my social media accounts until I get a proper one done in my studio - go figure. 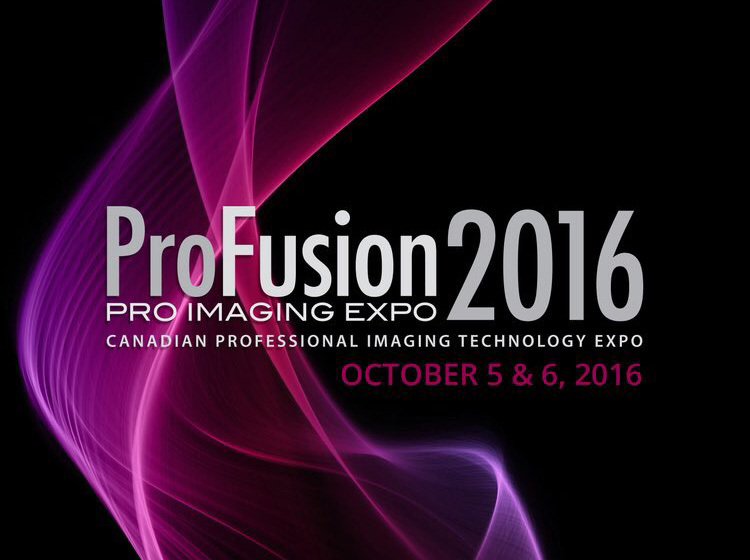 A big thanks must go out to Vistek, the ProFusion Expo team, and all the vendors for making this another event great.